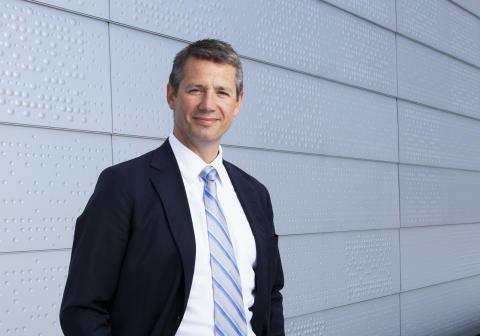 “I really look forward to becoming a member of this team,” says new Webstep CEO Arne Norheim. “The Board would like to thank Kjetil Bakke Eriksen for an excellent job during his 13 years as Webstep's CEO. At the same time, we are very pleased to announce that Arne Norheim has accepted the position as CEO,” says Klaus-Anders Nysteen, Chair of the Board of Webstep ASA. 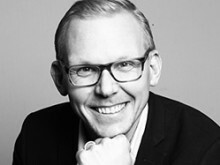 Arne Norheim has served as Country General Manager of IBM Norway since July 2013. He started his career at IBM US in 1996 and has, over the last 22 years, held various positions within finance and business management in different parts of the IBM Group in the USA, Sweden, France, Denmark and Norway. “Arne Norheim is an experienced technology and consultancy leader within the IBM system, and has a long and strong track record. We are convinced that he will further strengthen Webstep's recognised work environment and contribute to new opportunities when it comes todriving innovation and creating growth and shareholder value,” Klaus-Anders Nysteen continues. “Webstep operates in a market with enormous demand for IT expertise and services. Digital transformation and leveraging new platforms and technologies to generate new business opportunities are on the agenda for every company and government entity. Skills and experience are key to unlocking the potential of the digital promise. Webstep, with its talented and experienced consultants, is uniquely positioned to help customers realise their potential. I really look forward to becoming part of this team and to help Webstep's customersdevelop and implement the solutions they need to succeed in tomorrow's markets,” says Arne Norheim. Kjetil Bakke Eriksen, who has served as CEO of Webstep since 2006, has decided to leave the company to pursue other opportunities. “This decision has matured over time. After 13 years as CEO, I concluded that the time is right for a change. Webstep is a great company with a strong position in a growing market. Leaving feels a bit sad, but everything has its time. I wish Webstep all the best in the future,”says Kjetil Bakke Eriksen. Kjetil Bakke Eriksen will stay on until 2 May 2019, when Arne Norheim assumes his new position. Webstep ASA is a provider of consultancy services to the private and public sector, with the IT expertise necessary to deliver the most demanding digitalisation and IT services.The Webstep Group employs approximately 400 employees in Norway and Sweden, of which more than 360 are expert consultants. Since its establishment in 2000, Webstep has delivered profitable growth. The company offers its services to more than 200 customers annually and has been recognised for its work environment.